Of late, most, if not all, Android users have been aware of the trend of flashing ‘ROMs’. What is a ROM? A ROM literally stands for Read Only Memory, but as far as Android devices are concerned, the term takes a whole new meaning. A ROM for an Android device refers to a customized OS, which can be installed onto the device. This process of installing a new ROM is known as ‘Flashing’. This can only be done on rooted devices, because it requires a custom ‘recovery’ to be installed on your device. Custom ROMs usually have many benefits over stock or factory ROMs. This may include better audio, better battery life, display tweaks, usability tweaks, etc. However, when moving from one ROM to another, the complete app partition of the device is wiped, which means you not only lose the apps, but also the app data. This app data may include your login credentials, high scores on a game, user dictionary, contacts, etc. However, Titanium Backup is at your rescue. This tool can let you take backups of your apps as well as data, so you need not reconfigure your entire phone again. What’s more, the app even lets you carry out batch backups so you don’t need to backup each app individually. The only thing required is a rooted Android device, and you’re ready to go. Make sure you have a rooted device. Use Root Checker to confirm. Download and install Titanium Backup. The app required USB Debugging to be turned on for usage, so go to your device’s Settings menu – Developer Options and check ‘USB Debugging’. Next, fire up the app and touch the ‘Backup/Restore’ tab on the top. Once you’re done with backups, you can go ahead with the ROM installation. Once done, you need to install Titanium Backup again (there will be no user apps on the new ROM!). 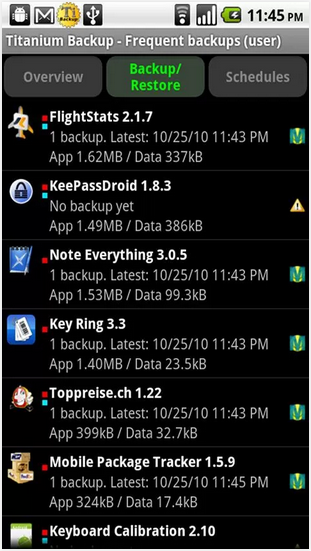 Next, open up the Backup/Restore tab and restore the previously backed-up apps. Congratulations! You just carried out successful backup and restoration of your apps. This lets you save a lot of time since you don’t have to reconfigure each app to you liking again. 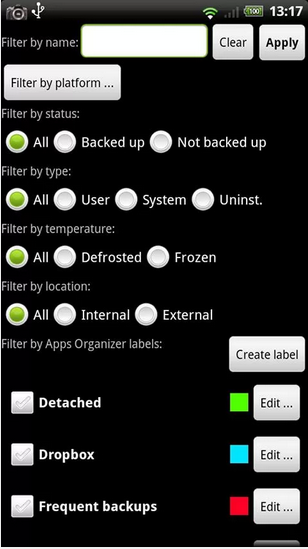 The ‘Pro’ version of the app comes with many more functionalities, including ‘Freeze App’, multiple backups of the same app, backup without closing the app, etc. However, a small sum of money needs to be paid for it. Disclaimer: We will not be responsible for any damage if caused to your device in case anything goes wrong. Rooting your device might void your warranty, discretion advised.